WWII drama set in the aftermath of the assassination of high ranking Nazi Reinhard Heidrich. 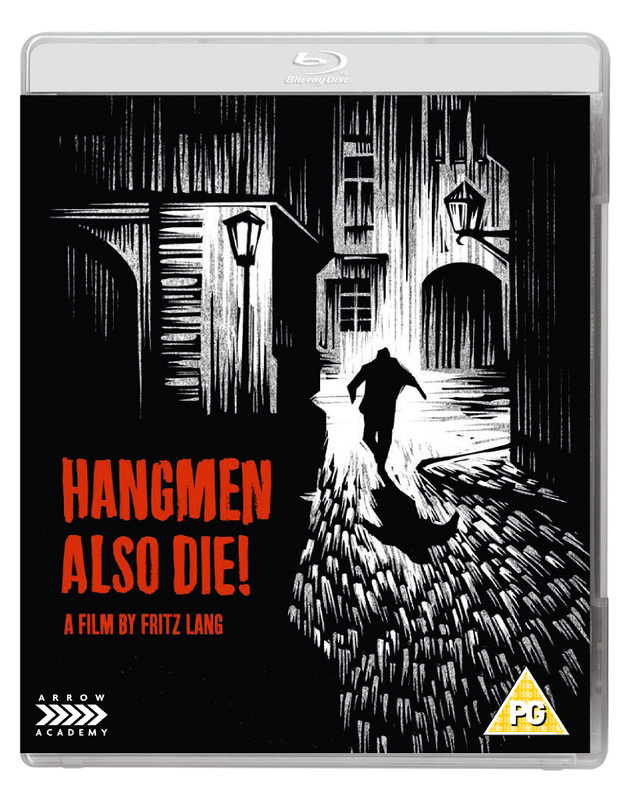 A top second tier effort with all the skill and panache one expects from Fritz Lang. Worth watching for James Wong Howe's crisp cinematography and the chance to see Walter Brennan out of his Western civvies and here playing a professor. A once in a life collaboration between Fritz Lang and playwright Bertolt Brecht (still a source of debate regarding how much of it was rewritten by John Wexley), this nifty piece of true events war propaganda has been restored and spruced up to such an extent it should come with war bonds. Loosely based on the 1942 assassination of Reinhard Heydrich, this turns a national tragedy into something of a caper film, in which the usual bank vault has been replaced by an attempt to fit up sleazy fifth columnist brewer Emil Czarka (Gene Lockhart) for the crime. 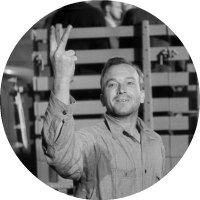 Set in a Czechoslovakia that is full of middle class Americans and cab drivers from the Bronx, this is a film of split decisions, the tragic results and the physical and devastating effects of taking a moral stand. When Marsha witnesses a man on the run, Dr Franticek Svoboda (Brian Donlevy, cinema's Professor Quatermass) she deliberately misdirects the German soldiers after him, a spur of the moment decision that will have far reaching consequences. If the first half of the film is shadowy and foreboding as the curfew and draconian measures of the Nazi’s draw them ever nearer to their assassin, the second half is a surprisingly breezy fit up, more so when you consider that the ticking clock our heroes are up against has a body count. It's tonally odd for a modern audience but making perfect sense to wartime cinemagoers, who required their thrills with moral heft and weight, but not so tragic that the depressing reality of World War II would assail them on the way out. The dastardly Germans may be evil incarnate but they are also comical buffoons, acting more like the mob than an army. Alexander Granach as Gestapo Inspector Gruber is a saturnine alcoholic who seems more interested in the auxiliary pleasures occupation has to offer. Weighing in at over two hours, it doesn’t have the leanness of Lang’s best American work, but it still moves at a clip. No one uses shadows as well as Lang; a pivotal execution and appearance of a riding crop sporting Gestapo agent being a particular highlight. Beneath its glossy surface there is real tragedy mixed with absurdity. There is a real sense of consequences to actions which costs the lives of innocent people. That Svoboda has done the right thing is always in doubt; he may have killed a figurehead of the Nazi party but is it just a pyrrhic victory if he is so easily replaced? That a film with such harrowing subject matter should also have moments of amusement is also par for the course with Lang. Even a film as pitch black as M has moments of gallows humour. The cost to the resistance may be great but the ending leaves the audience in no doubt what this means to the war effort. It may not rank as one of the German Master's best works, but it is certainly a top second tier effort with all the skill and panache one expects from this gimlet eyed pro. Worth watching for James Wong Howe's crisp cinematography and the chance to see Walter Brennan out of his Western civvies and here playing a professor. Slightly thinner on extras than some of Arrow's work, including four minutes of comparison of pre and post restoration work which offers little value; an interesting 25-minute discussion with Robert Gerwarth, who is better on the historical facts around the case than he is on the filmmaking process; a commentary from Richard Pena and a trailer rounds off an average collection of extras married to a must watch movie. Transfer looks amazing and mono soundtrack is clear with minimal popping. 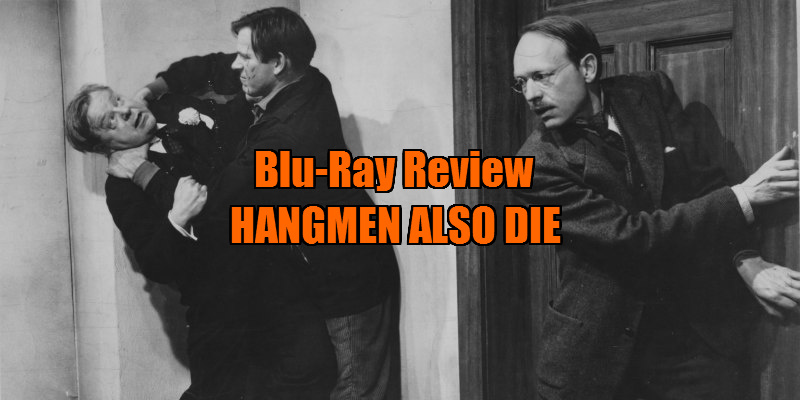 Hangmen Also Die! is on dual format blu-ray and DVD from Arrow Academy now.